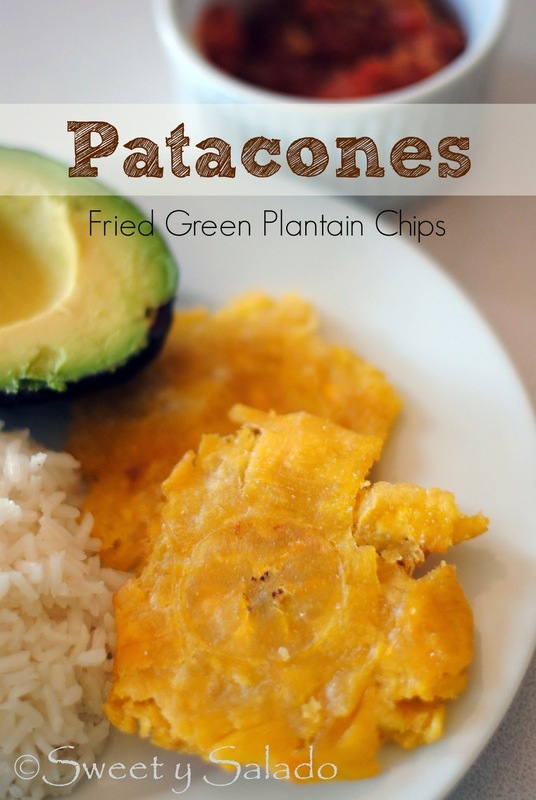 I, like many, many, many, other Colombians grew up eating patacones at least a couple of times a week. Because of this, I always though that we were the only ones on earth who enjoyed such a great way of eating plantains, until we moved to New York where I found out that Puerto Ricans also make them and call them “tostones”, because of their crunchy texture. Yet, another thing we have in common with that great country. One of the things I admire about my mother is that she always tried to make Colombian food at home for us. So, whenever she saw green plantains at the store, she would get them no matter how pricey they were at the time. And of course, I always thought my mom’s patacones were the best, and still are. A great patacón has to be crunchy, period. I have eaten half fried patacones that come out mushy and nasty, or under seasoned ones that are bland and so hard to eat. So, how do you get them to be really crispy and crunchy? All you have to do is smash them hard so they come out really flat and fry them at a higher temperature the second time. That’s it. As for flavor, some people like to soak them in salted water with a bit of garlic to infuse some flavor but I tend to stay away from that because we all know that water and oil really hate each other. You could dry them up but man, that’s too much extra work for me, so I just season them well with garlic salt or just plain salt after they come out of the oil and they’re delicious! 1. Peel the plantains and cut them in pieces, about 1.5 inch (3.5 cm) each. 2. Fry them in oil that has been preheated at 325ºF (163ºC) for about 3-4 minutes. Take them out of the oil and place them on paper towels to drain. 3. 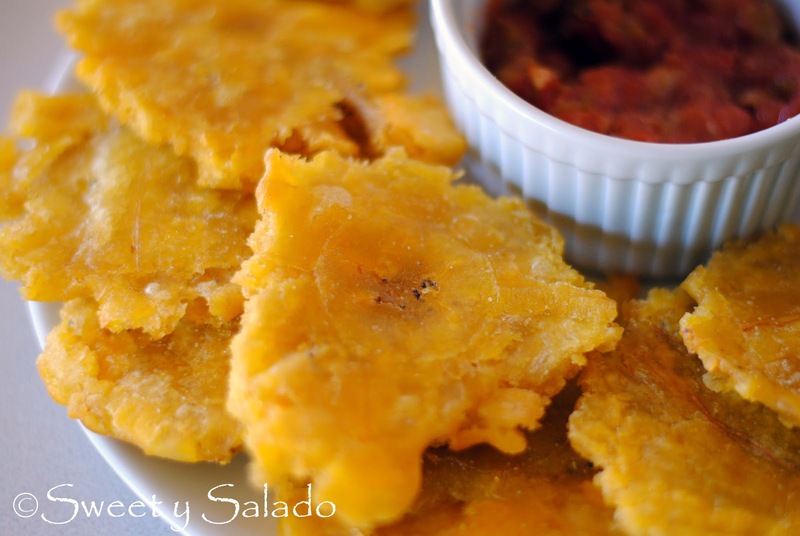 Using a tortilla press or “tostonera“, flatten the fried plantain pieces to make slices that are about ¼ inch (1.25 cm) thick. **Note: you can also smash them with the bottom of a small pot, a plate or even your hands. 4. Raise the oil to 375ºF (190) and fry them again for about 3 minutes or until golden brown. 5. Take them out of the oil and place them on paper towels to drain. Season with garlic salt and serve immediately. Hola Diana, si quiero congelar los patacones para una siguiente ocasión que debo hacer? Gracias! Me encantan tus recetas. I love this site. Thanks for the videos too. By the way, to add more flavor to the patacones, my Mom usually dips each smashed piece into garlic salted water just before frying them again. A word of caution: Be careful when frying the soaked plantains, as droplets of water will cause the oil to splatter.